Sri Lanka's Benthara River beyond born Kattadiyalage Wegapitiya controlled country's only privately owned Gas company is in a secret deal to increase Gas prices by Bankrupting Litro Gas company's revenue with UNP connected another Media fraternity friend of Finance Minister Mangala Samaraweera who will be taking top seats of country's only government owned Gas seller Litro. 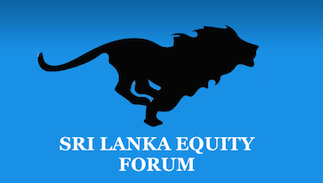 Accordingly LAUGFS Chairman Kattidyalage Wegapitiya is said to be making secret deal with his connected party of Government Deal Making Krishantha Cooray who also served equal seats with Kattadiyalage Wegapitiya on Sri Lanka's only government owned telecom company after yahapalanaya was soon appointed. However Cooray the Deal Maker was later fired after Cooray tried to oppose salary hike of SLT Chairman of Yahapalanaya who was appointed by the Sirisena of Sri Lanka since his brother. Wegapitiya has incurred lots of capital cost to develop LPG Terminal in Hambanthota and since so far not earning real revenue insiders of LAUGFS Gas says that soon after appointing a new CEO Chaminda Ediriwickrama to the group who was taken and snatched from inside Chairs of Litro Gas, Wegapitiya is making a deal with new Board of Litro to Bankrupt Litro by trying to take Litro revenue to LAUGFS through making it mandatory for Litro to store Gas in LAUGFS Hambanthota Gas Terminal in Down SOuth which is also beyonf Benthara River. As a result Wegapitiya is trying to get revenue to LAUGFS terminal in Hambanthota via a government deal making Litro Gas giving him money through Government cheques. This will result in a Gas Price Hike for over 1.3 million Houses in Sri Lanka becuase the Litro Gas price may increase due to Wegapitiya's Master Mind 'Kattadiya Deal' according to insider from LAUGFS Gas. some times, Low caste people do low quality things.